Known for its dramatic layered cliffs, vivid color, and stunning views, the magnificent Grand Canyon National Park sees more than 4 million visitors every year. 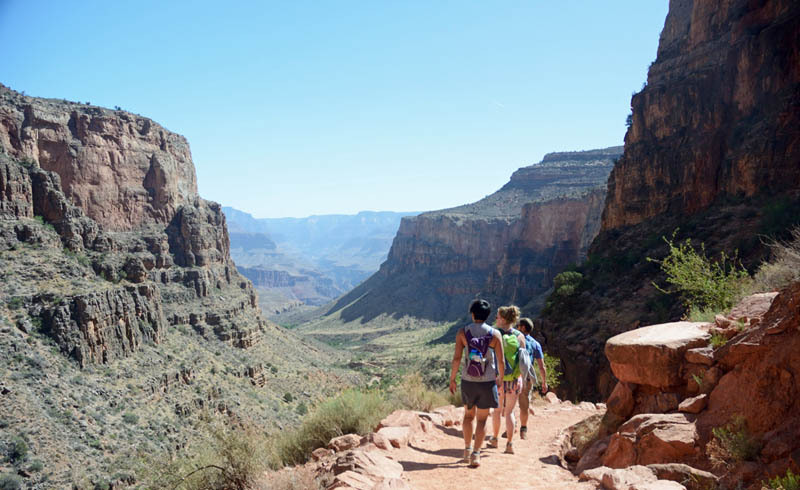 The South Rim’s iconic Bright Angel Trail, a roughly 9-and-a-half mile trek to the bottom of the canyon and back and with an elevation change of more than 4,000 feet, is challenging but promises some of the park’s most spectacular scenery. 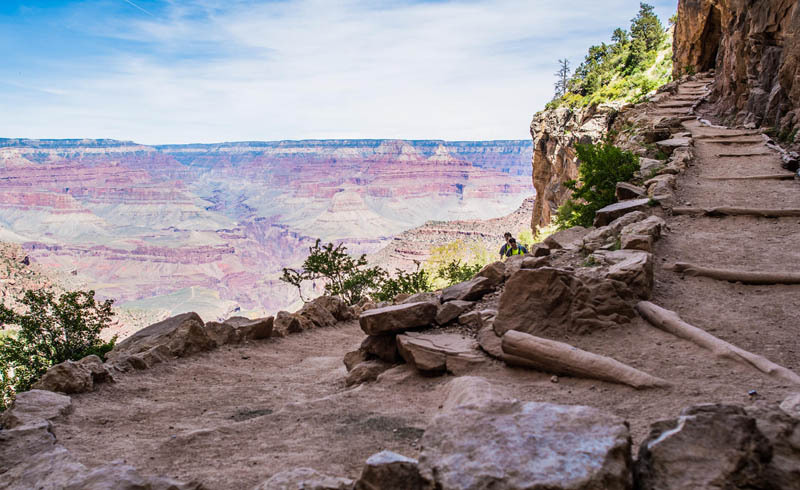 The trail, built along the Bright Angel fault line, was once a corridor used by many of the Native American groups that lived in the Grand Canyon. Its rich history is apparent as we hike past ancient pictographs lining the rock walls. Because the trail is framed by vast, towering cliffs, trekkers enjoy a considerable amount of shade on this stretch of the path—a blessing in hot summer months. There are also several natural water sources nearby, which makes the trail a hospitable home to plant and animal life. Speaking of which, local fauna, such as the Alpine ibex, just might make a cameo appearance near the trail, as we discovered when we traversed the first tunnel. Eventually, you’ll arrive at a steep series of switchbacks known as Jacob’s Ladder. Here, the trail begins to descend with a grade of nearly 15 percent. It’s one of the trail’s most challenging sections. However, you get rewarded with remarkable views of the rock erosions that make the Grand Canyon famous. Because sections of the trail are so steep, it takes twice as long to hike back up the trail as it does to get down. It’s strenuous, to be sure, but the jaw-dropping views keep hikers inspired. More majestic than expected, this up-close Grand Canyon adventure has to be experienced to be believed.